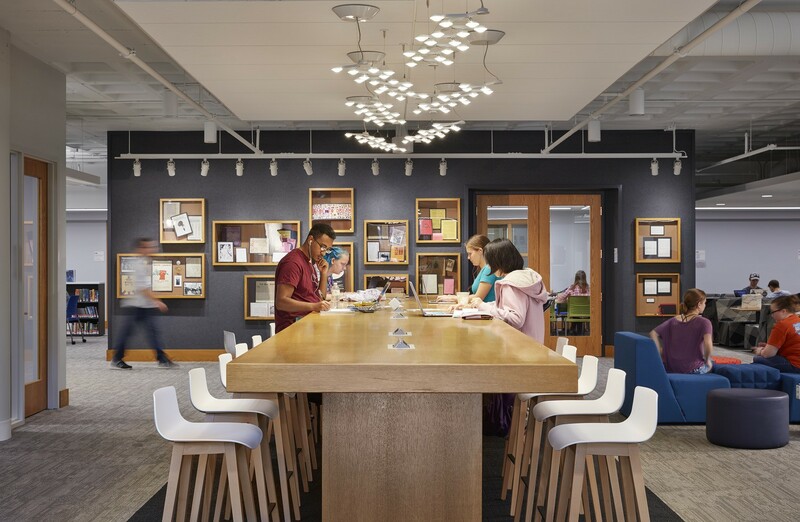 Macalester College undertook a renovation of the second floor of their library which had been largely untouched since the building opened in 1987 and was primarily used to house stacks of books. 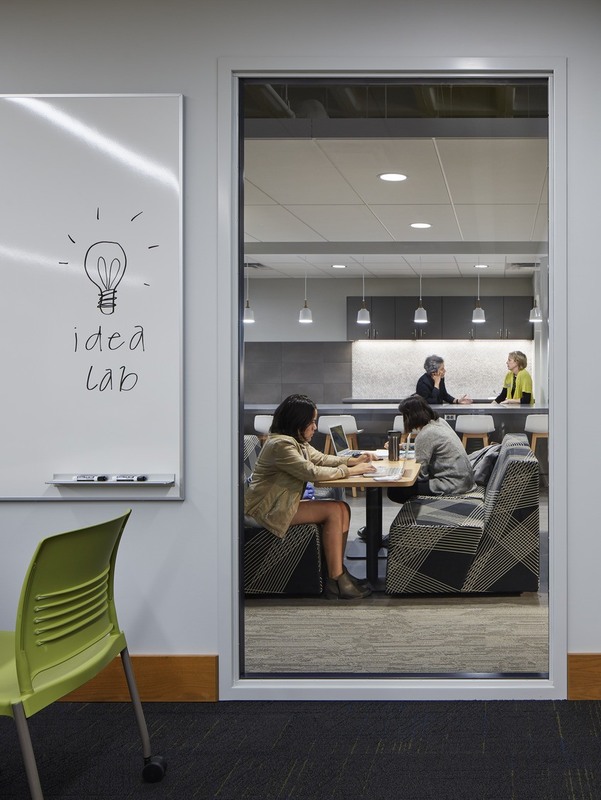 The overall project goal and vision was to create a fresh space that celebrates innovation and embraces entrepreneurship while encouraging students to create, explore ideas, and collaborate. 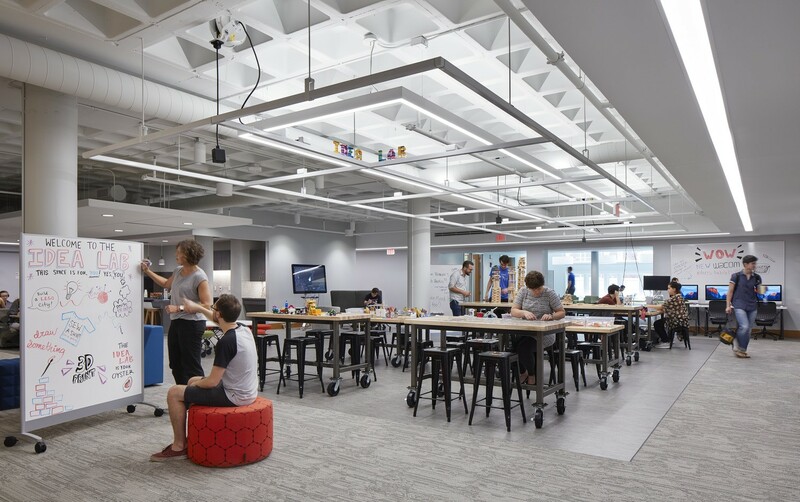 The remarkable success of the project is evident in the high usage since opening day, including a 22% increase in overall usage after one month opening. 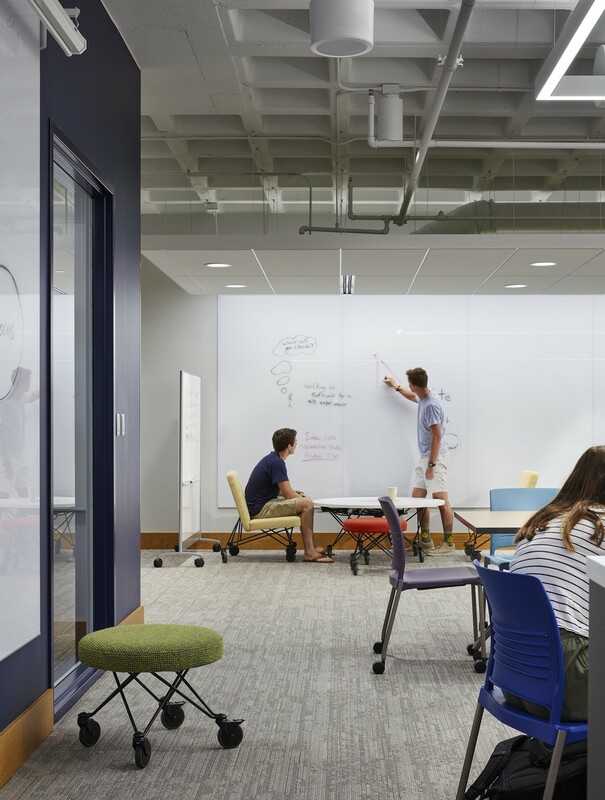 The resulting design and remodel is an authentic, invigorating space that supports academic rigor, creativity and collaboration.